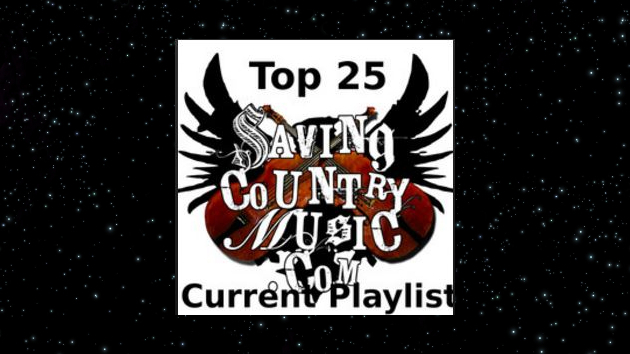 Some very big names, and some names to discover are included in the newest additions of the Saving Country Music Top 25 Playlist. Fresh off her four wins at the Grammy Awards including for Album of the Year, Kacey Musgraves has released her first proper radio single from Golden Hour in the form of “Rainbow.” Even though the song isn’t especially “current,” in the spirit of supporting the few country radio singles worth their salt, “Rainbow” makes the list as an excellent piano ballad, and a song that was mentioned for Saving Country Music’s Song of the Year in 2018. George Strait is another artist that should also be getting played on big country radio, but will probably face an uphill battle. His latest song “Every Little Honky Tonk Bar” from his March 29th record Honky Tonk Time Machine also makes the list. Reverie Lane is a duet made up of Spencer Bartoletti and Presley Tucker, and they’ve just released their debut single, “Less Is More.” Presley Tucker is the daughter of country legend Tanya Tucker, and this could be a very promising project moving forward. And last but not least is the wild-eyed Lars Pluto and the Reavers with their new single “Dear Country Music.” To keep the playlist at least somewhat close to family friendly, the “Snowflake Edit” of the song is included here. But for those who love country music, hate what it’s become on the commercial radio, and who like a good chuckle, don’t be afraid to check out the unadulterated version of the song as well. I really like “Don’t Let The Old Man In” and I wouldn’t rule out adding it to the playlist at some point. But Keith is a VERY polarizing artist, and I don’t want to add a name to the playlist that some people may immediately see and discount the entire thing. Also, Toby Keith doesn’t need the promotion. Some good picks here. I would add Reba’s new song Stronger Than The Truth. She promised traditional country and she delivered. I am pleased that Ward Davis made the list. Definately need some Cody Jinks on this list!! Even some Whiskey Meyers, Tennessee Jet, and Tyler Childers. Every one of these guys have some great stuff out there. Thanks for the suggestions. Cody Jinks, Tyler Childers, and Whiskey Myers have all been featured here many times before. The point of this playlist is to inform folks of the newest music coming out, and their projects are all many months old. When they have new music, they’ll likely be featured here again. That Michaela Anne has a terrific voice. The Malpass Brothers from North Carolina are the best band playing right now that is saving country music,They just we’re on The Opry,and are gaining popularity quickly. Isn’t that Waylon’s actual guitar? I know Keith owns one. There are a lot of things we can pick on him but his guitars and guitar playing skillls aren’t one of them. It may have been. And believe me, I know he’s a talented guitar picker. I just find it humorous that him of all people reps a Waylon telecaster. If ANYONE should be played on the radio, it’s George Strait. He’s the King of Country Music for crying out loud. But I’d be willing to bet tracks from his upcoming album will receive limited airplay from most “country” stations. Love this playlist btw. I’m from Texas and Lord knows I love George Strait. But his new song begs me to ask if ya’ll realize just how many country songs “drop Hank’s name”?! I guess it’s ok but is it really needed by songwriters to try to make it authentic country? I have a huge music collection and I have collected, at this point, 244 songs that drop Hank’s name in the lyrics. These songs range from artists like Hawkshaw Hawkins and Jack Cardwell who both released songs in 1953 soon after Hank died to songs by the greats, George Jones, Alan Jackson, Kris Kristofferson, Waylon & Willie and countless others. But it doesn’t stop with Hank – I have 149 songs that drop Merle Haggard’s name, 120 for George Jones, 90 for Waylon, 81 for Johnny Cash and lesser numbers for other big names. Thoughts? Don’t you think this (name dropping BS) has done got out of hand? I think a lot of writers who pen songs for mainstream, pop/hick-hop artists incorporate name drops in order to appeal to the masses, or to say, “Hey look, I’m really country!” And yes, some true country artists do it too. But I really have no problem with name-dropping as long as it’s done right. And George Strait has never strayed from country music in the entirety of his career, so I’m alright with him doing it. LOL!! !……… I love “Dear Country Music” good for Lars Pluto!!! Nice add Trig! Cody Johnson’s “Monday Morning Merle” is growing on me a lot as is the album. He’ll be here Thursday night with Justin Moore. As I said in The Steel Woods album review they were here Saturday and absolutely tore it up. “Wherever You Are” is a great album track but a little tough to trot out live in a shot and beer joint. His voice was as powerful as it is in this song all night though. You’re going to make me buy Spotify aren’t you. Eastern Kentucky, Southern California, Brooklyn, and Texas (duh) are keeping it country. Thanks for including Reverie Lane. Always loved Tanya Tucker’s voice, and it’s wonderful to hear a bit of that tone again in her daughter, Presley. Promising indeed!